endangers a country’s economic growth. Much as I love Sam Cooke and this song, it just won’t work if we don’t know stuff, and if we don’t know that we don’t know. In the current blame game, Democrats and Republicans agree on one thing ~ it’s the other side’s fault. There’s high drama on Capitol Hill starring the famous and infamous, the hapless and the clueless. Health care, fiscal follies, budget squabbles ~ a dog-and-pony show that’s enough to put our founding fathers on the spin cycle in their graves. Need a place to sound off? Weigh in at #DearCongress. The hash tag took off across Twitter, Facebook, Instagram and Vine, the top trend nationwide. Citizens are taking to their keyboards and phones to express their disappointment, anger, and of course, jokes when it comes to Congress’ decision to shutdown services and leave hundreds of thousands of Americans without pay instead of working out a compromise. 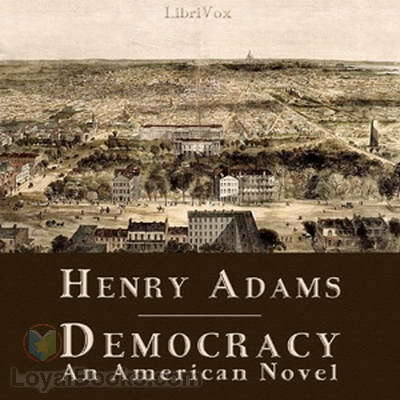 There are plenty of political novels that reflect our seemingly bottomless well of cynicism. 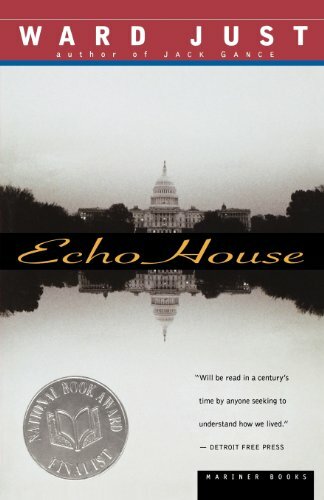 A finalist for the National Book Award, Echo House is a century-spanning family saga about three generations of a political dynasty. It’s populated not only by actual and fictional presidents and candidates but also by White House staffers, fortune-tellers and adventuresses, powerful journalists male and female, lawyers and bankers young and old, honest and dishonest, researchers and diplomats. Nearly all the characters are Beltway insiders: rumor spreaders, power brokers, secret keepers, senators, investigators, spies, would-be ambassadors, and the canniest survivor of them all, a women who in the 1950s declares her intentions to become first lady and succeeds. A contemporary of H. L. Menken, Vidal pens an unsparing, acutely observed overview of the American political scene from the Depression through WWII. It’s part of “Narratives of Empire,” his six-volume series of historical novels about the American past. Almost every character has a well-planted skeleton in the closet that another character is ready to rattle. Democracy is a caustic satire that skewers the rich and power-hungry who scheme and claw their way to the top of the political food chain. Slate readers voted it their all-time favorite Washington novel. Democracy was an anonymously published roman à clef that caused a stir in political circles when it appeared in 1880. Political insiders delighted in trying to unmask both the characters and the author. The secret of Adams’ authorship held for 35 years. Democracy survives because democracy remains a work in progress. 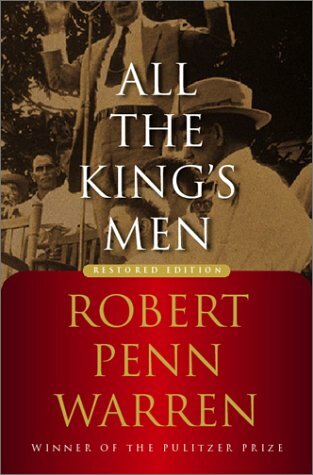 The story of the rise and fall of charismatic Louisiana Governor Wille Stark is drawn from the real-life story of Governor Huey Long, The Kingfisher. Released in the mid 1940s, Penn Warren writes about what politics can cost those who play it at the highest levels. American political reality seems tailor-made for fictionalizing. Do you like your politics with a whiff of satire like Wag the Dog? Or philosophy à la Atlas Shrugged? Prefer it futuristic as in Brave New World? Or in the dystopic vein of The Handmaid’s Tale? The present outrage of We The People, brought to us courtesy of this Suessian congress, sends me running for middlebrow entertainment rather than piercing analysis. Meet you here next Sunday. are born to be above it all. Congress needs to mime our National symbol. This unusual point of view comes from Last-Week’s-Gone-Viral You-Tube of the Bald Eagle soaring with a camera on its back. Even if it’s fake, it’s awesome. This photo was taken by Doreen Orciari. It was a 90 degree day and this Bald Eagle HAD been soaring. I think Congress needs to also see what it looks like to be tired from having striven to soar and be above it all. The second picture shows the guy actually panting, something I’d like to see our Congress doing.